Sometimes you just stumble into a great story through photography. That was the case back on February 16, 2014 when I traveled to the west coast of Florida to one of my favorite shorebird photography spots. Bunche Beach is well known for wintering Marbled Godwit, Long-billed Curlew, Black-bellied Plover, Semipalmated Plover, and many more great birds. My primary target that day, however, was the Piping Plover. 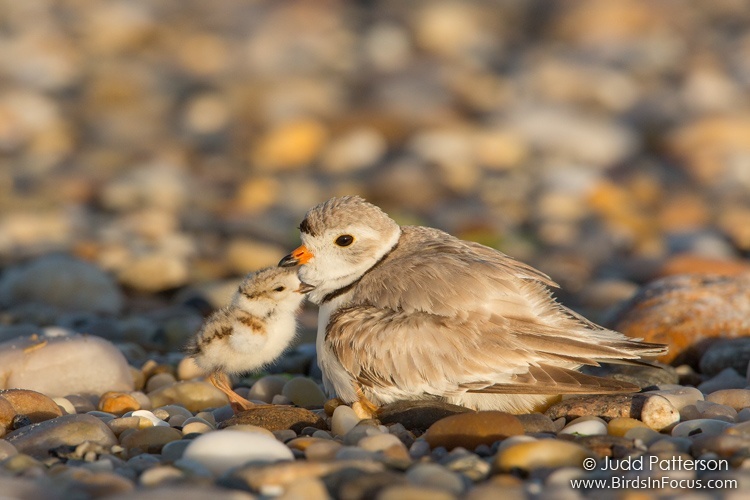 The previous spring I had followed a breeding pair of these birds along a beautiful rocky beach in New York. I was treated to sweet moments with both adults and their adorable cotton-ball chicks. 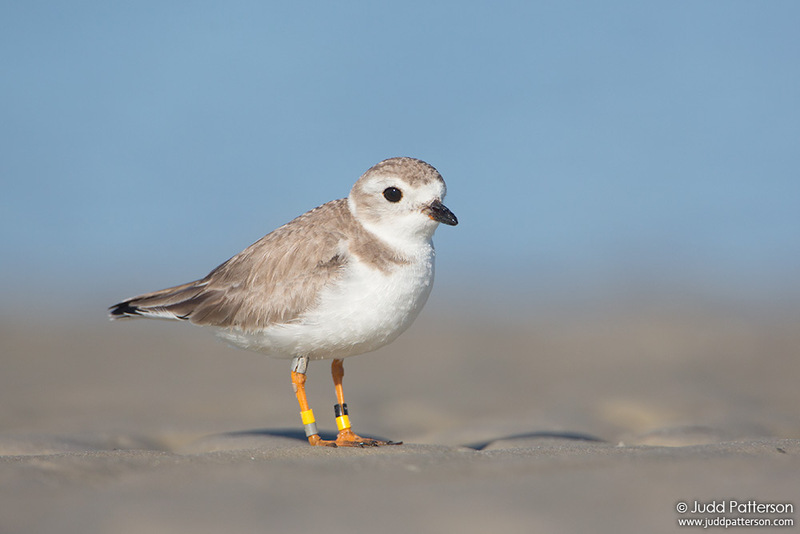 On this particular trip to Bunche Beach I was hoping I could add a non-breeding Piping Plover to my portfolio. As I roamed the recently exposed mudflats, I worked my way through more common species like Dunlin and Sanderling until I finally found my target. Foraging in the morning sun was a beautiful Piping Plover. He was sporting several bands on each leg..various shades of yellow, black, and gray. He posed for several photographs, and I returned home happy. As I reviewed those images I decided to send off the information on his bands in the hope that I could learn about his previous whereabouts. What I got back was really fascinating. This little plover had a name: Erwin. 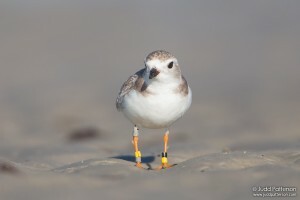 Erwin was banded as a tiny chick on June 16, 2011 at a lakeshore housing development in Dodge County, Nebraska. That first winter after hatching Erwin made his way more than 1,300 miles to southeast Florida. There is no information on his location during the 2012 breeding season, but by the fall he was back at Bunche Beach. In the spring of 2013 he returned to Nebraska where he successfully nested. Each winter since he has returned to Bunche Beach where he is seen by many birders and photographers. 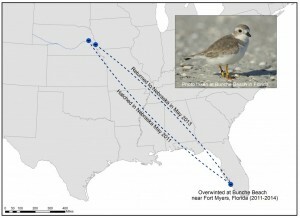 It’s pretty cool to get such insight into the migration preferences of this one little bird. Weighing only a couple ounces, Erwin is a classic snowbird…spending his winters lounging on the beach in Florida! With a little luck I’ll run into him again this season.